Healing properties of calendula are also used in antiquity. Calendula flower is beautiful, but also useful herb for health problems. Calendula is yellow to bright orange. As a remedy marigold has been known since ancient Greece. In addition to medicine, Calendula is used in cooking. Its color is edible and can be added to salads. Also in dry form is used for coloring cheese or as a substitute for saffron spice. 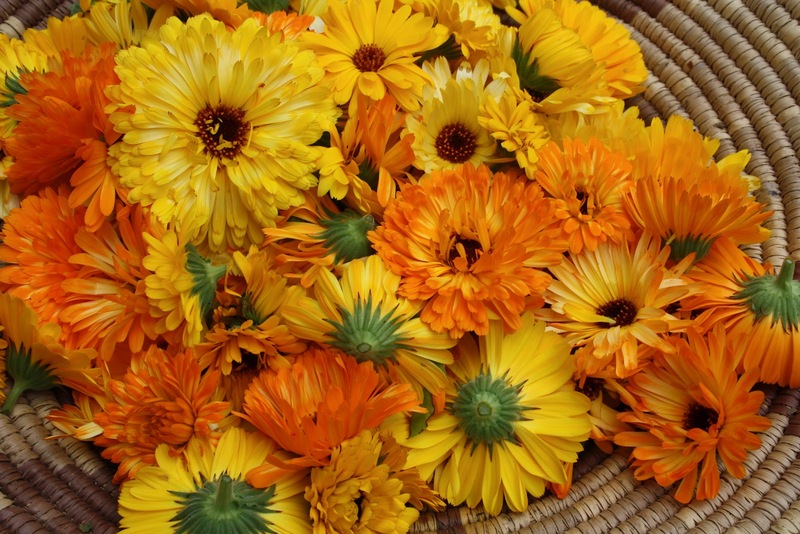 In folk medicine used not only color, but also the leaves and stems of calendula. One of the main properties are antimicrobial and its ability to accelerate healing of wounds, both internal and external. Calendula used for centuries for cleansing the blood. In the form of tea in folk medicine, Calendula used in jaundice, liver diseases, gastric ulcer, inflammatory bowel disease, blood in the urine, high blood pressure and tranquilizing agent. With 250 ml of boiling water pour a tablespoon of dried Calendula. Allow to soak for 5 minutes, then strain. It is important that the tea should not be sweetened and drink while still warm. Bathrooms with calendula you are very useful for general relaxation of the body, also for urinary tract help against vaginal infections and kidney problems. Four handfuls of fresh or 100 g of dry herb is soaked overnight in 3 liters of cold water. The next day, the water is heated, and the extract was added to the water with which it will bathe. It is best to do so in a bath and the water level is above the kidneys. For varicose veins and difficult to heal wounds it is best to do Calendula ointment. For this purpose you must have lard. Heaped handfuls of chopped flowers, stems and leaves calendula is poured into preheated 500 g pure lard. Fry briefly. The vessel was capped and allowed to stand overnight. The next day, the mixture is warmed slightly and filtered through linen cloth. The resulting ointment is placed in the jars and can be used for a long time. Unwanted pigmentation on the skin can be treated again with the juice of marigold. 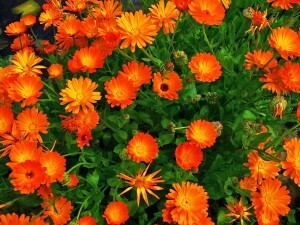 Except in folk medicine, Calendula is used in pharmaceuticals. The extract of calendula oil has anti-inflammatory and anti-tumor properties, as well as heal wounds. So often added to drugs such purpose.